Knowing what social media marketing is not enough. Understanding how it works is the main menu for your online success. Here's 15 social media mistakes some businesses tend to overlook and how you can avoid them. If you’re a smart marketer, one strategy that you’re probably using to attract new customers is social media. When done right, social media becomes a means to connect and engage with targeted customers through sharing useful content, as well as information about your products or services. However, there are still many businesses that just don't get it right when it comes to social media marketing. As a result, the incurred social media mistakes they've made become time-wasters, or worst, lost profit. Before launching any tactic using social media, take a look at your objectives.. You should define your target audience, research your competition, select the right tools of the trade, and produce content before you post your first social media update. Without planning, you might end up appearing disorganized and unprepared. If you have a business that needs a couple of people in order to work, it's the same with your social media campaigns. You don't have to have a separate team, but at least one or two people handling the tasks of strategizing, planning, creating content and design, promotion, branding, and monitoring. Doing it alone is not only stressful, but can also be chaotic. It's not fun seeing the same updates over and over again on all of your social media accounts. Without creativity and careful thought in your content, your followers may end up clicking the 'unlike' or 'unfollow' button. Social media updates are not as long as a blog post. These updates should be professionally written, with the audience in mind, and with a dash of creativity and wit to capture their attention. If you can't do this, hire a professional writer who can channel the right tone and provide quality content consistently. While it's okay to schedule updates on social media, it's not as engaging as a real-time updates that have commentaries instantaneously. Not sharing content in real-time may even deter your target audience. If you're trying to post on all social media networks, stop. Take a look at where your audiences are - are they on Twitter, Pinterest, Facebook and Google+? If you are chasing after possible leads, it's best to focus on a few social media networks where they congregate. Rather than signing up for almost every social network, it's better to focus on a few where you can get the most targeted leads. If you are or if you have an erratic social media manager, it's difficult to gain results from inconsistent updates. Promoting your business and pushing your brand forward requires a constant stream of updates to let your followers know that you're there and always available. Typographical errors, grammar mistakes, and being too informal in creating updates puts your brand at risk. You'll be seen as unprofessional and people who follow you might think that you're not serious about your business. Social media marketing may not require everyone to be too formal, but you can be neutral, friendly, and accommodating, while maintaining a professional approach. Being authentic, honest, and transparent can help win more followers and potential clients because you are not hiding behind a façade. You can provide opinions and facts to influence people with your genuineness. Always say what you mean and mean what you say. because it's your brand you're putting out there. It's not always about you. Always provide information that will help your followers, even if it’s not your content. . Be sure to share links to resources that your audience can benefit from and also make sure to mention and thank the rightful owners. Add a sense of humor when needed. You can add a bit of fun in your updates and promotions to lighten up the mood and engage your followers. When an occasion calls for it, see to it that your updates are appropriate and light-hearted, without deviating from your content. Don't be bland in engaging with your followers. You can be bold and expressive without offending.. Show personality in your updates and engagements, but do avoid arguments and being controversial. Keep it professional, honest, and creative with your responses. (13) Where are the photos? Adding photos or any shareable imagery, especially for social media updates, is the norm. Visual content attracts more attention than bland and wordy messaging. Use stock images, candid photos, Instagram, vine, and video to match your updates. Defining your goals and developing a method for measuring your social media will help you see the results of your efforts. It's not enough that you're promoting your brand to followers if you cannot see any result. While organic search still lives, it's not always a reliable source of new leads. If you want to get your brand out there and be seen, it's best to spend a little for social media - either for tools, apps, or services. Check your own strategies and see what needs to changed. There's always a chance you're making a few of these social media mistakes and now is the time to correct them. 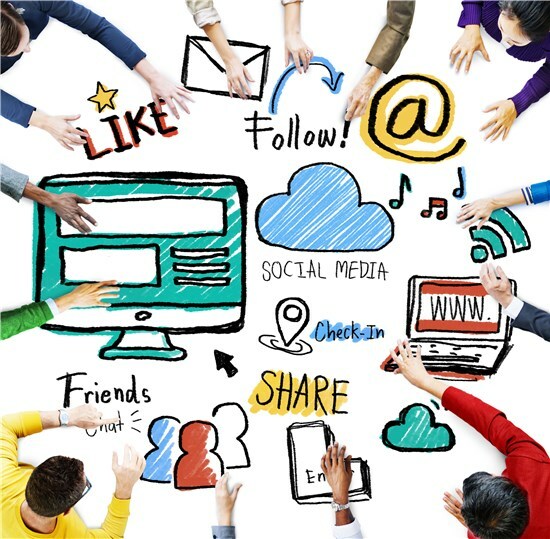 If you need help and guidance in your social media marketing techniques, call us now. We can help you improve it for better results.